Steam in China is over, some enthusiasts know. 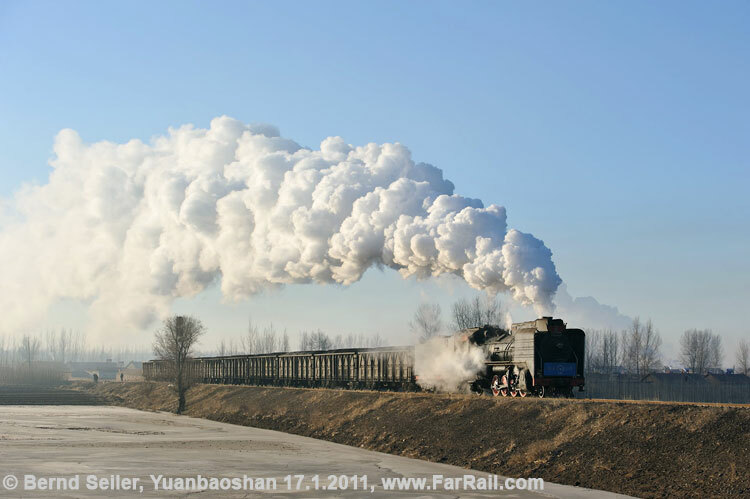 Sure, the age of steam all over China is history, but on this trip we’ll prove once more that steam is not history yet, that there is still life in the dog. 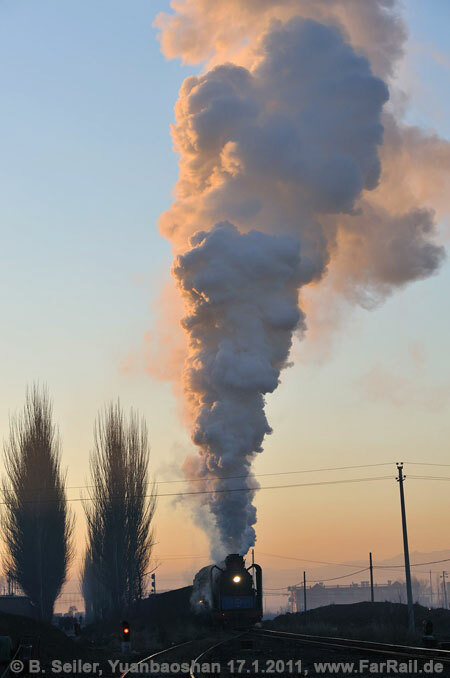 Steam still hauls long trains over gradients, struggling in front of too heavy trains, trundling with passenger trains through rural countryside and serves dirty industrial sites. Often only the adhesion between the wheels and the rails is the limit! 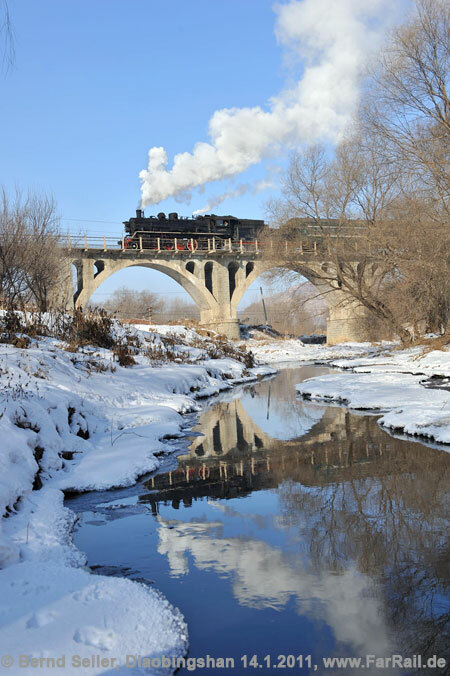 You can still experience how 2-8-2 locomotives of the classes SY and JS throw a mountain of steam into a crystal clear, blue winter sky. 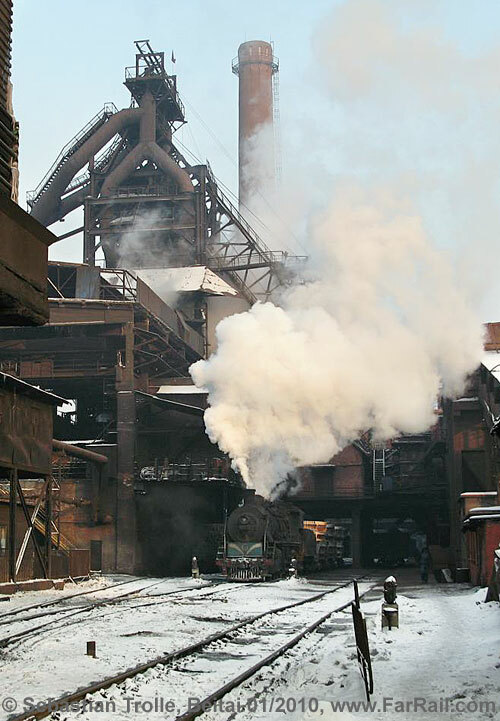 This tour is designed for the needs of travellers who have never been to China as well as for those who have been several times to visit the last strongholds of steam. It’s made to inhale steam at its best. To see supershine locomotives as well as filthy coal mine locos, to see shunters with a few wagons as well as locomotives struggling on steep gradients. Besides the industrial backdrops, we’ll find open, hilly countryside along the way which combine to give the best opportunities for amazing shots. 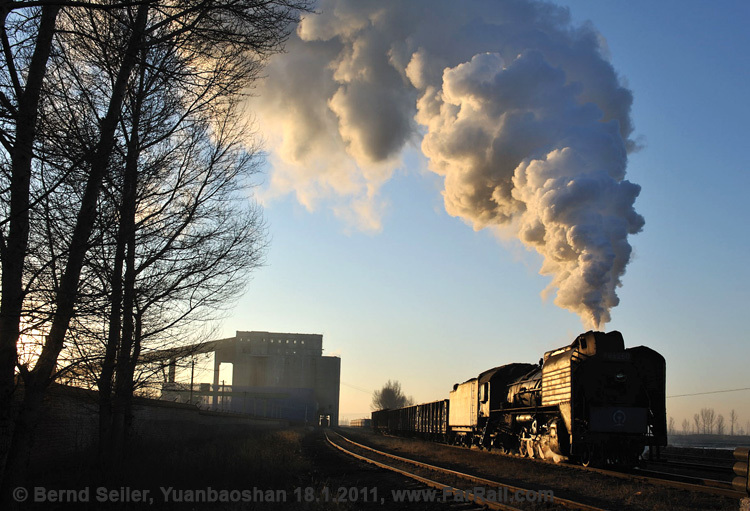 Although we’re witnesses to a sharp decline in the number of steam locomotives and lines served by steam in China, it is still the “must go” place for enthusiasts of real steam. You’ll not be disappointed, even if you’ve never made it to China before and don’t know what to expect (in fact, especially then!). 09.12. 04.46 hrs arrival Benxi, charter bus to Beitai. 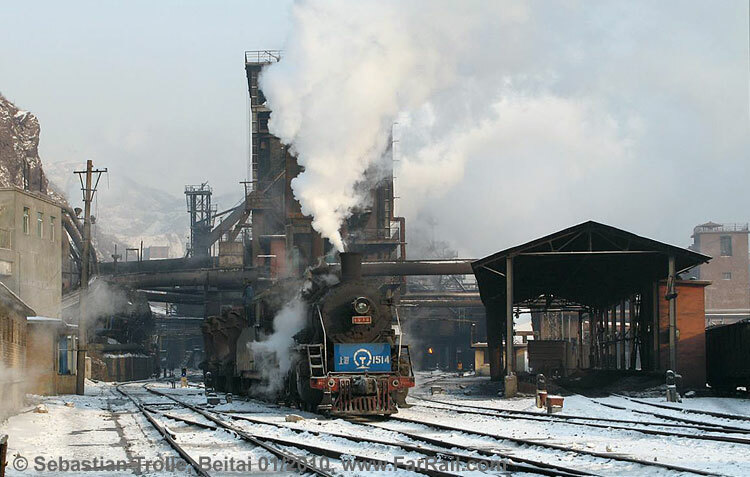 Visit to the steelworks Beitai (SY), hotel in Beitai. 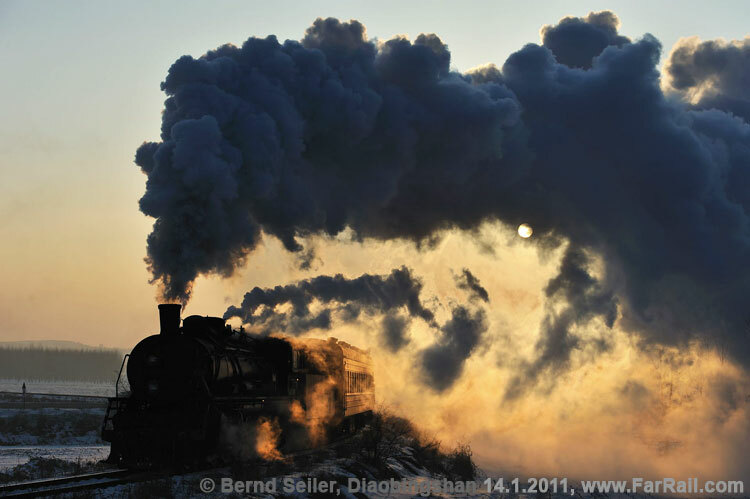 In late 2010 we still found eleven SYs under steam, seven of them in line service. Others would call this a Mega Steam Gala ... It’s just a glimpse of what it has been, but even this little part is such a powerful playground for photographers and video film makers that there is hardly any competition from Europe. The density of possible exciting industrial shots per square inch is similar to what you can find in Europe per square mile! Not many enthusiasts have been to Pingzhuang because there’s been better action nearby  the famous Jingpeng pass. 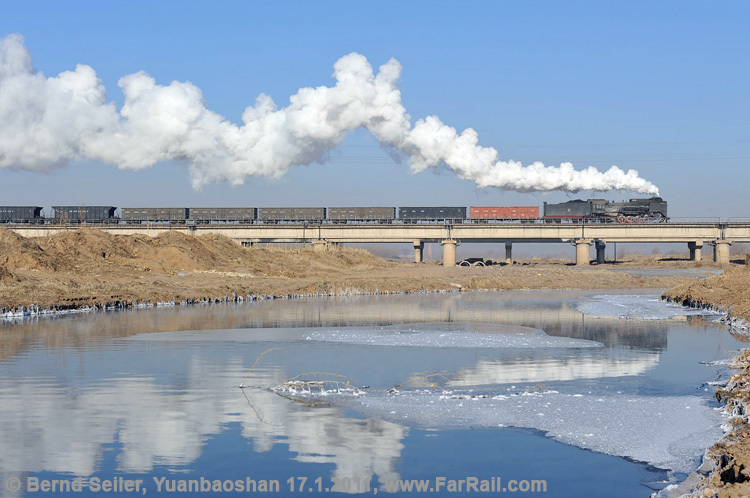 Those who have been here in earlier years could have seen the last KD6 (US built class S160 2-8-0) in service, which was sold to Diaobingshan a couple of years ago where it is now preserved. 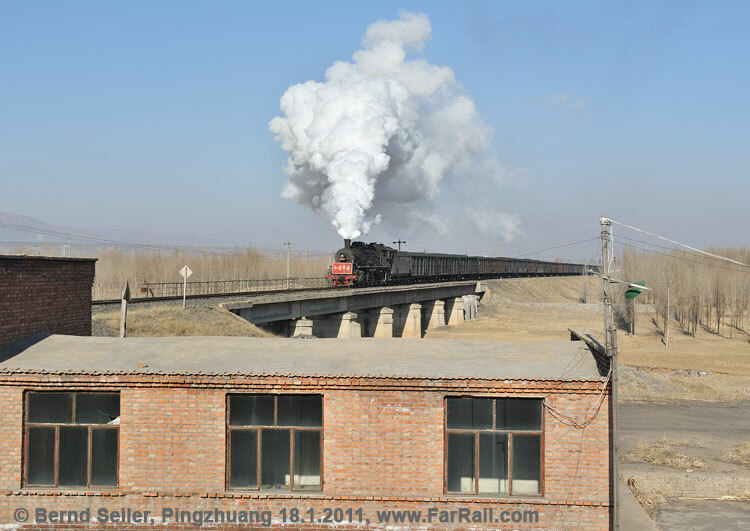 However, with the decline of steam, it was “discovered“ that Pingzhuang is well worth a visit. It’s not only their fully deflectored SY, they have a line to underground mines which offers, at least in the colourful autumn, some nice, rural line shots. On two major gradients on this line locomotives have to work hard. The tour was planned in April 2011. 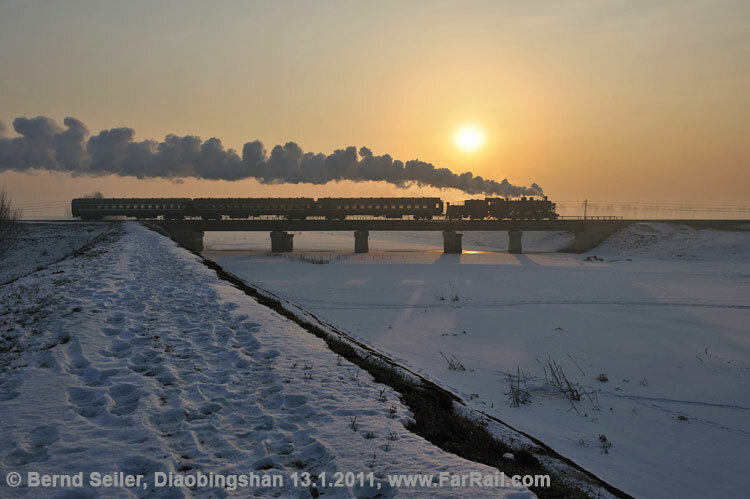 Although it’s only a few months before we go to China, it’s not certain that all lines will still have steam. 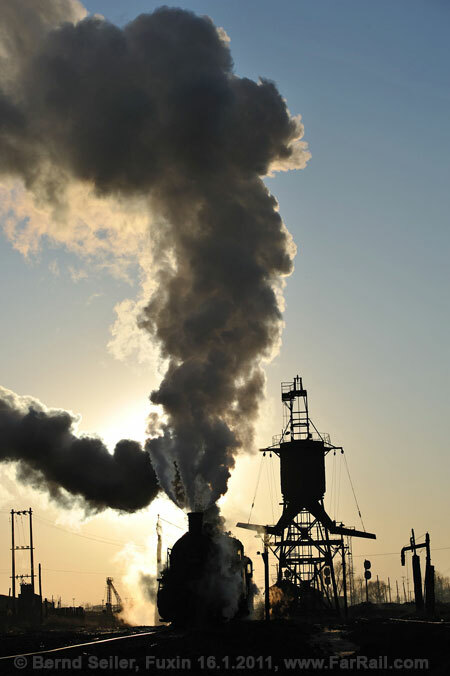 In the event that one line is dieselised before we arrive, we will make different arrangements to see as much steam as possible. We expect the lowest morning temperatures to be about minus 20 degrees Centigrade in the early morning while afternoon temperatures can reach about zero degrees Centigrade. The voltage in China is 220 Volts, 50 Hertz. Sometimes you need an adapter for the power outlets. China uses the European mobile phone (GSM) standard.